Last month we asked you to help us find for you those unexpected treasures you didn’t even know you were missing. We called on you to challenge us, to make us work for the right to call ourselves a book store and not a website. What we didn’t realise was that we were asking for more than the challenge from you. We were also asking two far more precious things: Time and Trust. We figured we were asking more than we realised when we didn’t get a single response to our call. Not one. So, thinking about it, we found that we had actually been asking you to take your time, and investing it in trusting us, who you don’t really know from a bar of soap. Our bad. Thing is, investing that time and trust in complete strangers is kind of important. Not so that Clockwork can feel like a real book store, but because Local Literature Matters. We spend our days finding and trying to support South African authors who are new, or small-scale or writing work not in line with the appetites of the larger distributors or publishing houses. We want nothing more than to introduce these local authors to their people, the people their books will sing to, because local literature can’t matter, in fact, it can’t exist at all, without Local Readers. You are those local readers, you make local writers matter, and without you, we can have no new voices telling stories. So we’re going to ask again, this time mindfully, for your time and your trust, so that we can introduce you to a local voice that you didn’t know you were looking for. We want to find you those books that become unexpected friends, and we want to find our authors their people. You can tell us what sings to you and what gives you grills in private by replying to this email, or you can just hit the Time and Trust button below that will take you to ClockworkBooks facebook post for this competition and pop your answer in there. As always, every prompt will be answered and the best will win their recommendation for free, but that’s not all you get out of this competition. Help us find you the local literature that you might not have met yet and be part of building a better space for new stories. We have some new stories, albeit stories in a form other than prose, finding a home on the Clockwork Books store this month. Our September PoeThree Special is all about our Clockwork poetry section and you can get three gorgeous books of poetry for only R400! The first is To Breathe into Another Voice, edited by Myesha Jenkins and the main feature of this month’s newsletter. The second is Seaweed Sky, Dr Sarah Godsell’s debut collection. The third and final title is a familiar and beloved one, Landscapes of Courage by Ruth Everson. And speaking of our favourite poet, Ruth has put together a beautiful review of this month’s featured book To Breathe into Another Voice. 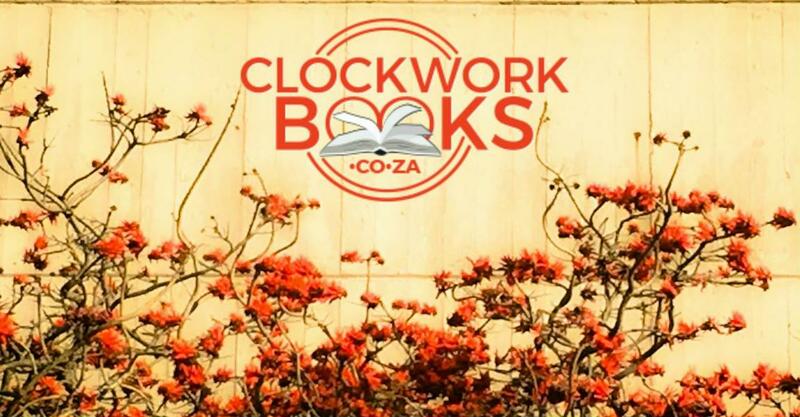 I am thrilled that Clockwork Books is expanding our South African poetry selection – I hope these collections are new destinations full of unanticipated delights for you, our reader. Having Ruth from our own Clockwork Community pave the way into engaging with this local literature is one of exactly those reader-writer-reviewer relationships that Clockwork strives to build. She also co-hosts the Jozi House of Poetry with Phillippa Yaa DeVilliers, a non-competitive, woman-friendly monthly poetry session. In 2015, the Out There Sessions: Poetry and Jazz in Orbit was launched as another platform featuring the collaboration of poets and jazz musicians. Feminist, immigrant, activist, she generously shares her life, reflections and vision. She has lived and worked in Johannesburg since 1993 when she relocated from California. Abi: This is the first poetry anthology that you have put together and edited. Why Jazz for your starting theme? Myesha: I’m a Jazz person. I go to Jazz clubs, I talk to Jazz people, I listen to Jazz. I have a 50 year relationship with Jazz and through those years I’ve experienced, directly, both its healing and its miraculousness, the way it brings life back. I’ve been told by fellow poets that I’ll never be a Hip-hop Poet. That’s because I am a Jazz Poet. It was natural to start with a Jazz Anthology. Abi: Why choose to have a multi-contributor collection, to have many voices instead of focusing on one poet, or on your own poetry? Myesha: I wanted all the different perspectives on jazz, or at least, as many as possible. One of the joys of this anthology is that very famous writers are sitting next to people who have never written before, reading it, you go from nuanced and subtle themes to this in-your-face innocence, the complexity right next to the naivety. There’s an equal share between men and women in this anthology, and every race group has something here. It crosses generations (it’s not just old people) to encompass so many different ways that jazz affects people, whether it makes people think of home, or of dancing, or of making love. Abi: What was the hardest thing about marrying the theme of jazz with the medium of poetry? Myesha: The thing I have to say about the book, because some of my strong feminist friends have raised it with me, and it has to be said: Jazz is still mostly a male-dominated space, where there is a lot of praise for, and celebration of and sometimes excusing of the bad behaviour of men. Although I’ve taken so much care to craft this as a gender-balanced lens on this space, with many poems by and about women, the space is still what it is. 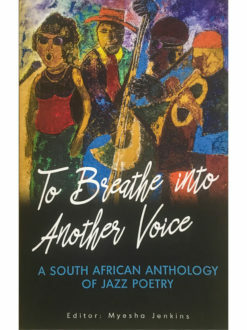 In 2017 Myesha Jenkins edited To Breathe Into Another Voice: A South African Anthology of Jazz Poetry, featuring the work of 45 poets speaking to the impact of jazz in their lives. and published by Real African Publishers. We asked Clockwork Books’ favourite poet and all-round mensch, Ruth Everson, to review To Breathe into Another Voice for us. 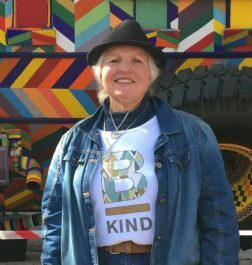 Ruth Everson is a performance poet, speaker and writer. She has worked at festivals and events all over SA as well as in China, Egypt, Swaziland and Botswana. She has authored a solo collection titled Landscapes of Courage which is available on the Clockwork Books store. Ruth says: I was intrigued by this new anthology of South African poetry, edited by Myesha Jenkins. As I read the poems, I found an interesting fusion of the rhythms and riffs of music and word playing in my head. Any good poem is music and this collection is filled with poems that that will call to the ear and the heart. The poems play with form and style, sometimes starting on the second beat, sometimes running away on the page, pulling the reader along. 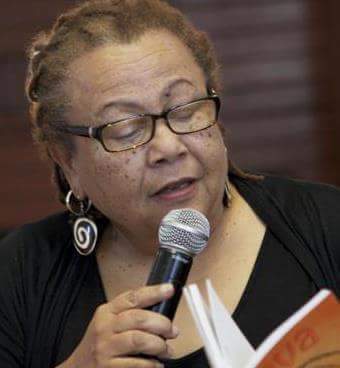 More than just another anthology, the poems document an important part of our history and once read for pleasure, must be reread to find the strands that weave us together. The poets range from the skilled who have mastered their art to those just finding their voices but there are no jarring notes. I encourage you to buy this anthology. I’m sure that, to use lines from Lebogang Mashile’s homage to Miraim Makeba, Songbird, if you have ‘the faith that when you unravel/You’ll find the songs that make us all whole’. A poem should be authentic. It should be your voice, and not pretending, not running away from or escaping what it is you’re trying to say. The words that are supposed to capture truth must also capture your truth, you as a human being. A good poem has to have life: all those figures of speech that we learn in English, but simpler. The poem must have senses; touch, taste, sound, smell as well as sight. The fragrance of the orchid remains with you as much as the image of the orchid. The smell of gunpowder lingers for hours. Good poems are accessible, they don’t use dictionary words. The language must be everyday language. They don’t take so long to say what they mean that your mind wanders. Good poems can be long or short, but they can’t lose that focus. The first of his name. Chef extraordinaire, sometimes poet and mother to one stolen cat. Well travelled – taught English in Thailand for a bit. Latent telekenetic abilities, or maybe he’s just clumsy. There’s nothing he won’t read. Introvert. Unable to hold onto grudges. Fantastic sense of humour. 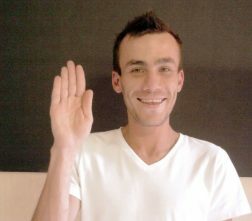 Keane is Clockwork’s social media Content Creator and manager of the wonderful Facebook page. You can often see his cheerful visage at book sales events, or as Clockwork Chaperone to our authors as they travel the country (city currently, but we have big dreams) for signings and talks. Like to see something specific on Clockwork’s social media posts? Keen (see what we did there?) for one of our authors to be chaperoned to one of your events or functions? Just hit reply to get our Clockwork Content Creator on the job!